JOIN THE REVOLUTION AND TURN BACK TIME! At 180 Cosmetics, we make some pretty big claims about our products - and we actually want to prove to you that THEY REALLY WORK. You want beautiful, smoother, glowing skin. We have the products and the know-how to help you achieve that. But just as importantly, we are here to inform, answer your questions, and help in any way we can. 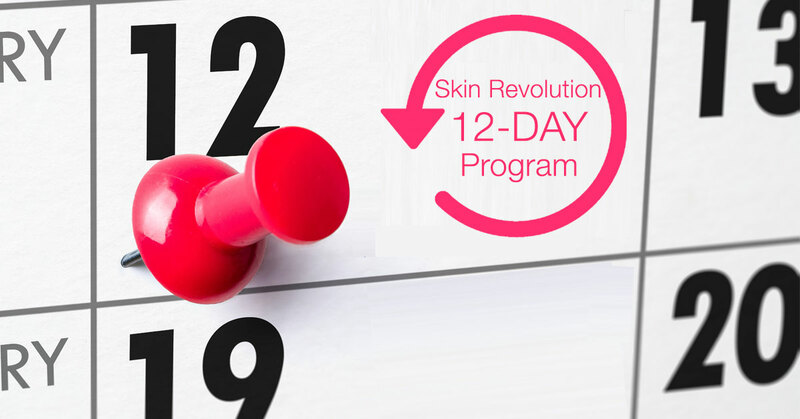 So we're inviting you to the 12-Day Skin Revolution program. Because aging skin needs a round-the-clock boost in nourishment, hydration, and skin-cell renewal stimulation, we've formulated our unique products to not only be highly effective on their own, but to work EVEN BETTER when used together in a 24-hour cycle. Give us 12 days, and we guarantee you results you can both see and feel. 3. One of our beauty experts will contact your with a beauty regimen that's personally suited to you and your needs. 4. Follow your customized skin routine for 12 days, and see REAL RESULTS. Just the cost of the products and shipping. The rest is on us: 12 days of guidance, support and beauty tips, including a full 30-day money back guarantee. Please note: This is NOT a recurring offer. You will ONLY be charged ONCE - That's a guarantee. Don't forget to use code 12DAYS180 to get 12% OFF your purchase of any of special packages.